Dynamic duos have always been cool. Think Batman and Robin; the Green Hornet and Cato, Captain Kangaroo and Mr. GreenJeans…you get the picture. But what about the duos where the sidekick is a complete unknown? Without a great backstory a sidekick is nothing more than a whisper on the wispy wind; a nameless, fleeting shadow that fades into the dusty woodwork of comic book history. 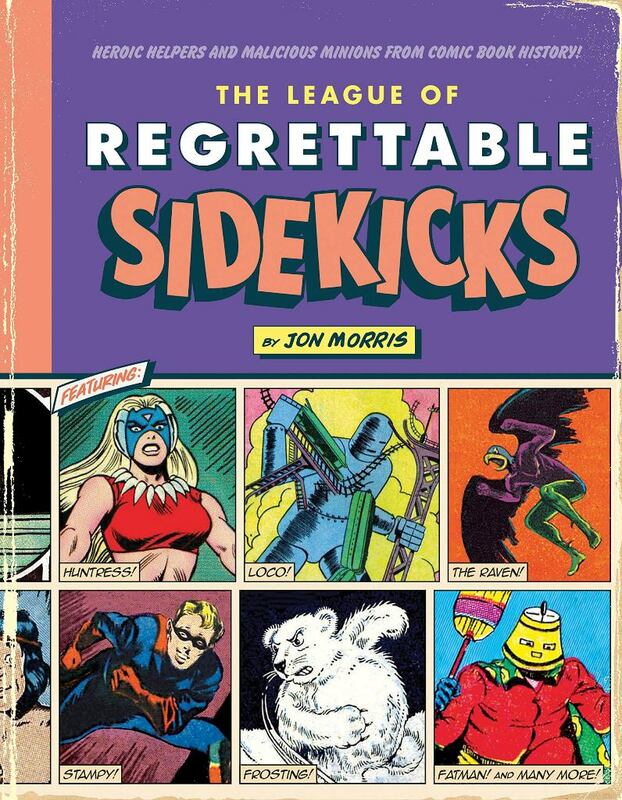 Author Jon Morris proves this unfortunate theory in Book #4 in the Comic Book History series, The League of Regrettable Sidekicks: Heroic Helpers and Malicious Minions from Comic Book History Highlights. Morris opens the book by explaining what every avid comic book reader should already know: that the superhero’s fundamental need for a sidekick dates back past the Green Hornet and Kato, Fu Manchu and his Si-Fan assassins, Robin Hood and his Merry Men, and even earlier than that. 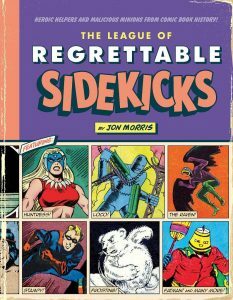 Morris quickly launches into a blow-by-blow account of the highs and lows of regrettable, forgotten sidekicks from the Silver, Golden and Modern Ages of comic book hero-dom. Readers meet curious crime fighters like “Bomber” Billy the Bumper, ornery goat-mascot for The Defense Kids (whoever they were! ); and Blargo the Lawless, a pudgy, “scrambled-egg-faced” crime fighter with a fierce fighting style that is perfect for protecting his superhero partner, Futura (whom he pesters to the point of sexual harassment). There is also the hilariously-named Dandy Doodle, son and sidekick of Yankee Doodle Jones, an unfortunate who has just been injected with almost all of a hypodermic needle-full of “strength-enhancing corpse juice” that gives him super powers. In the ultimate “I-wanna-be-just-like-my-dad” move, Dandy injects himself with the remainder of the putrid juice and becomes his forgettable father’s living-dead sidekick. There are over 250 pages of weird and wacky sidekicks, like Frosting, the baby polar bear (sidekick to Norge Benson); Papa, the bald and stupid father (and sidekick) of his superhero son, Junior Genius; Klonsbon the Foozle—a bird-like being who HATES being referred to as a bird, sidekick to Cap’n Quick; and Jaxxon, the green-tinged meat-eating rabbit who is sidekick to Hans Solo and the Star Hoppers. 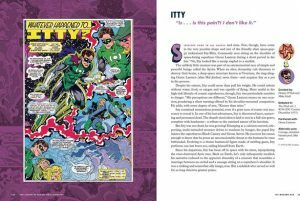 The League of Regrettable Sidekicks is a clever side-splitter that offers a chronological examination of forgettable sidekicks from the early days of comics until the time their reign came to an end. In terms of research, detail, and revival of long-lost characters, this book holds its own with any comic bible, comic encyclopedia and/or collectors’ series out there, and deserves its own place in the comic book landscape.